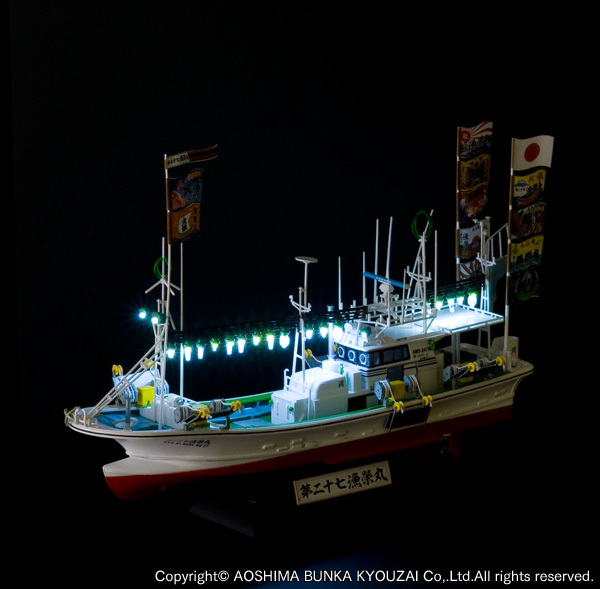 The modeler saw the functionality and elegance of this fishing boat and thought, "It would be beautiful if the fishing lights could actually shine." However, it was rather difficult work, and conventional LED wiring required an artisan's level of skill. Instead, instant glue was used, and the LEDs were carefully attached in a row. 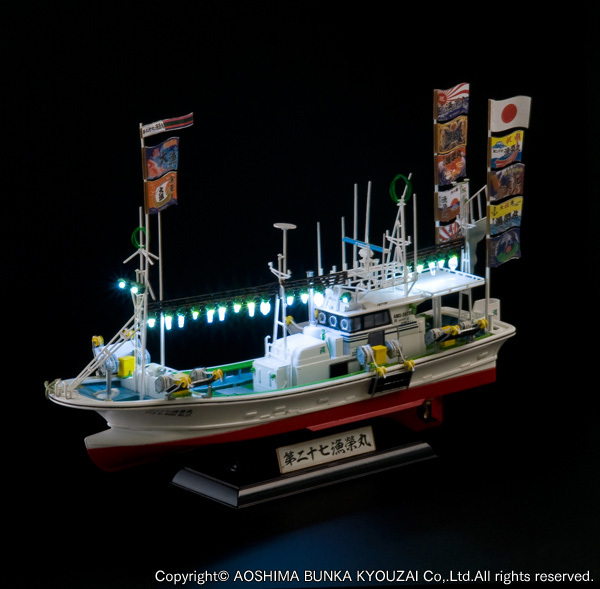 Because the modeler was free from the restriction of having to use a power supply with wires attached, the placement of these LEDs on the thin rods of the boat look completely natural. 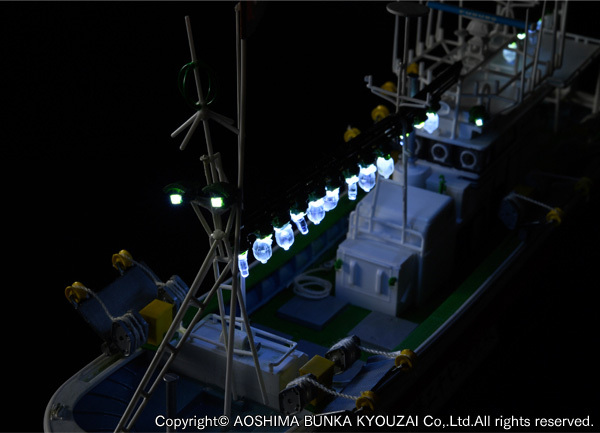 The model was completed by using the colors of light bulbs in the ferrite cores of the power inlets. 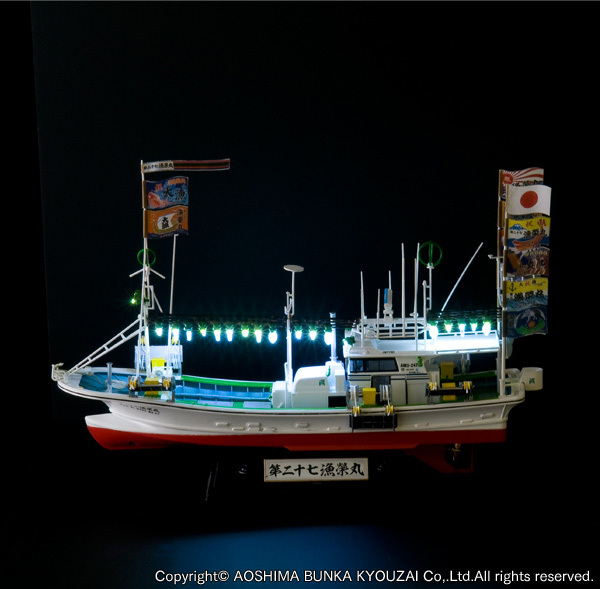 The modeler was delighted that it was possible to light up locations that seem as if they were suspended in air.